Whiteboards? Post-it notes? Good old-fashioned conversation? These business tools may seem antiquated, but they are simply irreplaceable. Every year there’s another must-have gadget or tool to make businesses easier to run and more profitable, but in some cases the old ways are still the best. That’s not to say you shouldn’t embrace the newest value-adding tools for your operations. Just don’t throw out any of these old-school babies along with the fax machine bathwater. The Internet gives you access to more people for less money, but study after study shows people give more credit to what they see in print—even when what the print says is clearly less authoritative. Though the value of newspaper advertising slips with each passing year, flyers and outdoor advertising are still powerful options. Takeaway tip: Use print to advertise products, announce events and test new markets. Maximize the value of print advertising by combining it with powerful Web marketing and social media initiatives. Business cards are such a part of commerce culture that it’s been mocked by shows like The Kids in the Hall. Apps like Bump are threatening to turn them electronic, but the paper card still reigns supreme whether you’re exchanging info at a conference or handing your card to a lead you find in the supermarket line. Takeaway tip: Use business cards as you always have—to give your contact information to people who need it. Maximize the usefulness of business cards by including all your modern contact information, including email, Twitter and other social media, on the card and by collating information from other people’s cards using a contact-tracking tool. No matter how many times you text, email, tweet or IM a client, there’s no substitute for five minutes on the phone or across the table. This skill is so vital that companies now spend millions a year to train employees from the online generation on how to use it. Takeaway tip: Use conversation to build trust, grow client rapport and make major sales. Maximize the value of having conversations by encouraging shy or inexperienced team members practice with their co-workers. There are electronic versions of this ubiquitous staple of office life for computers, tablets and smartphones. Yet none have replaced the original use of Post-it notes for tracking little details in real time. Technology has far from outstripped the little yellow pad’s usefulness around the office. Takeaway tip: Use Post-it notes to organize ideas by sorting them, creating an organizational chart, a flowchart or to assign tasks in a project. 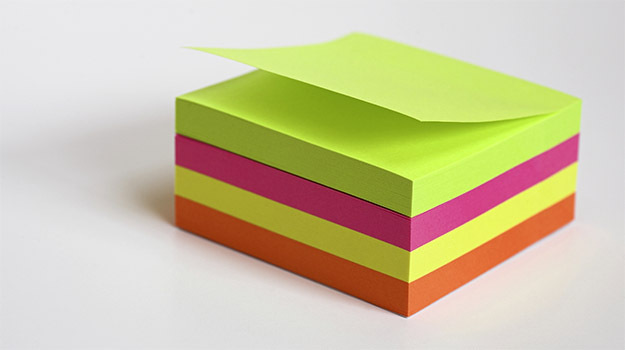 Maximize the usefulness of Post-it notes by entering final versions of that organization into a workflow tool. It’s true that whiteboards have largely replaced chalkboards, but the usefulness of the concept is unchallenged. Collaboration apps like Campfire can mimic some of the benefits of a whiteboard session, but nothing beats a brainstorming session or training class with a whiteboard at its center. Takeaway tip: Use whiteboards any time a visual representation will enhance a meeting, training session or sales presentation. Maximize the usefulness of whiteboards by looking into ways people have improved on the technology, such as whiteboard paint to apply on walls or tables, or new smartboards that combine whiteboards with a projector. These are just a few of the old-school tools that every business needs. What are some of your favorite relics from the last century that you still use in your office every day?